Many people across the globe suffer from different types of allergies. It is basically a chemical reaction, which takes place in our body. This reaction occurs when a substance interferes with our routine body functions. As a result, certain compounds are formed in our body. To get rid of these compounds, our body releases chemicals, and the end result is an allergic reaction. These reactions are triggered by certain stimulants known as allergens. In certain cases, the patient may experience repeated instances of headaches without any particular or apparent reason. If you are facing such an issue, it might be pointing towards an allergy. However, a point to remember here is that allergic signs usually appear in groups. Thus, headache alone doesn’t imply you are suffering from an allergy. Therefore, it is advised to check for other signs and symptoms as well. This is a rare sign of allergy. Our skin may show signs of redness and rashes due to allergy. It typically depends on the intensity of allergic reactions. Itching is a common sign of an allergic reaction. The skin of the patient becomes dry and itch constantly. Another sign that a patient may exhibit if they are suffering from any type of allergy is lack of sleep or facing problems in falling asleep. It may result in an irregular sleeping pattern or oversleeping. Some people who have an allergy may also suffer from different digestive troubles. Vomiting and constipation are the signs of these troubles. In some cases, the patient may also suffer from mild fever. Mild fever that doesn’t go away also implies that the patient is in continuous contact with the substance that causes allergic reactions. Thus, in such an instance where fever comes back repeatedly or doesn’t go away, it is advised to consult the physician. Running nose, closed nose, and certain other throat issues i.e. 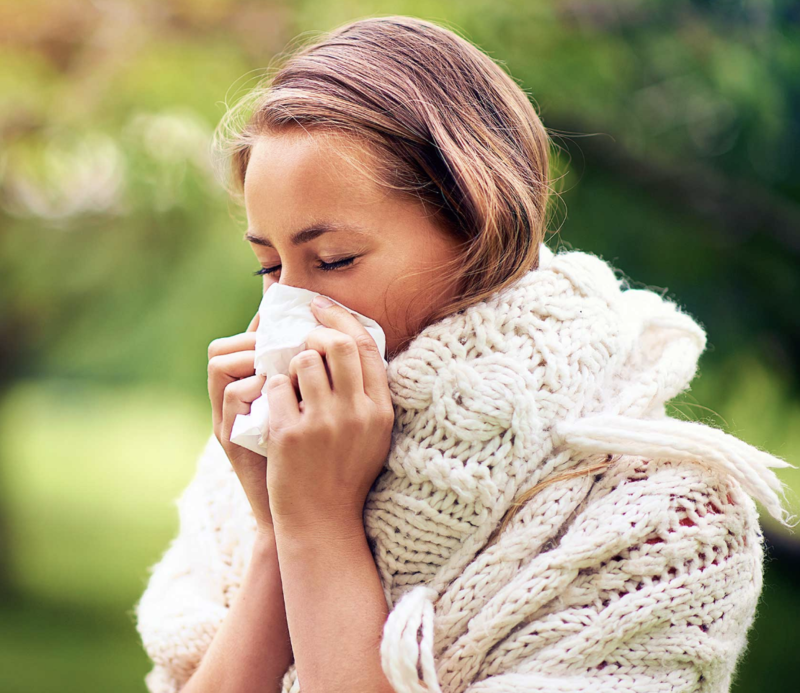 infections are some other signs of allergies that a patient experiences. These signs are related to allergies triggered by environmental factors. It is a feeling of sickness, which an allergy sufferer feels all the time. Due to this feeling, they may also experience mood swings and irritation. Another common sign of allergic reactions is facial swelling. Typically, eyes and lips of the patient swell when they experience such reactions. Keep a tab on any of the above-mentioned signs that your body shows and immediately seek your doctor’s consultation. As stated above, allergy signs show in groups; thus, it is the possibility of your body multiple signs at one time. It is strictly recommended to know the cause of allergy as soon as possible and avoid it as much as you can. This will help to improve your condition and alleviate the signs.